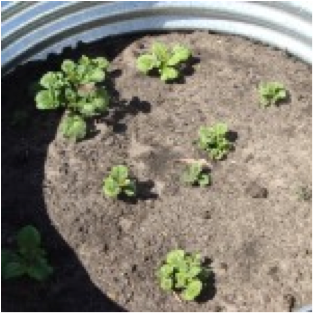 These are our potatoes just starting to appear 3 weeks after planting in one of our Earth Rings. We half filled the earth ring with a great organic soil mix and then planted our seed potatoes. As the potato plants grow we will progressively keep covering with soil until the container is full. Covering the developing tubers protects them from sunlight which turns them green making them poisonous and not suitable for eating. Topping up the soil in this method will also mean that we should end up with an Earth Ring full of yummy potatoes. Earth rings are ideal for growing potatoes as it contains them in 1 place. Nothing beats the taste of fresh, home grown potatoes. As well as being delicious potatoes have a good nutritional value. They are fat free, being largely comprised of water (80%) and carbohydrate (20%). The latest additions to the household are now 3 weeks old and still adorable. 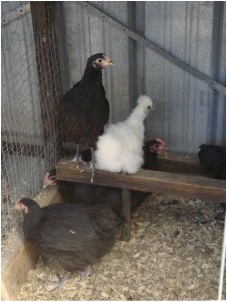 They are a mix of mainly Australorps; but also 4 Light sussex and 2 Silkies. The 2 little Silkies are only 1/2 the size of the others but they don’t seem to notice. There is a little black Silkie and one that looks like it will be a grey (very cute). Our 5 Australorps and 1 Silkie Chick are now 8 weeks old. It’s amazing how quick they grow. They have left mum and will soon be ready for their new homes. 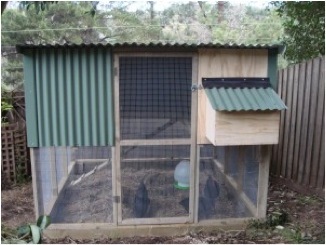 Design for a new two storey chook house with a built in run. It has everthing to keep chooks happy and keeps them safe and warm. We had some new baby chicks hatch in August. 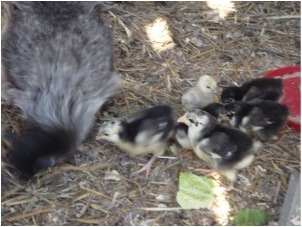 Our Silkie mum hatched 5 Australorps and 1 Silkie. We’ve since hatched out another 25 chicks. 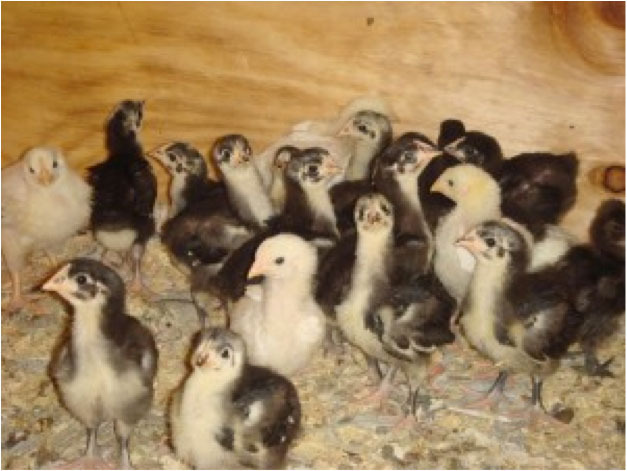 These are a mix of Australorps and Light Sussex. We have just put another 42 eggs in an incubator this week.